Oh, What A Night is the sub-title of a famous 1976 disco hit for the Four Seasons - full title 'December 1963 (Oh, What A Night)', about a young man's first love-affair. I never got to grips with disco; went straight from psychedelia to punk and power-pop without the embarrassment of glitterballs and medallions.Therefore the most interesting thing for me about that song is that, as originally written, it was titled 'December 5th 1933' and had a set of lyrics celebrating the date on which Prohibition in the USA was repealed. Bob Gaudio, the Four Seasons' keyboard player, wrote the song in 1975 and on presenting it to the group was persuaded by vocalists Frankie Valli and Gerry Polci to amend the lyrics to be a celebration of Gaudio's courtship of wife Judy Parker (who eventually shared a composing credit). Why the change was made, I don't know and I think it's quite a shame. 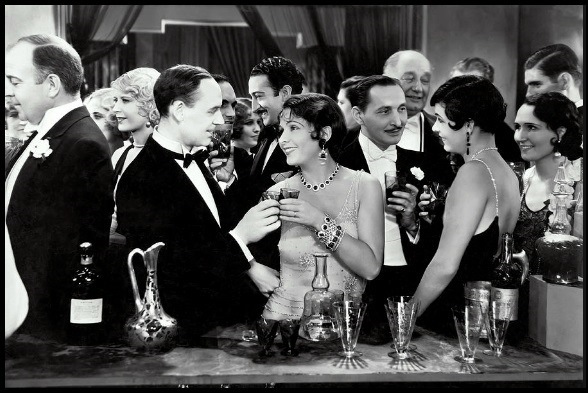 If there is anybody who doesn't know what Prohibition was, it was a nationwide constitutional ban on the production, importation, transportation and sale of alcoholic beverages in the USA, from 1920 to 1933. America was supposed to be 'dry', i.e. sober for 11 years! Just imagine that! Of course, like most legislation intended to tackle the 'negative social impact' of recreational refreshments, it had unpredictable consequences. The most significant was the spawning of a huge black-market industry in bootleg distilling, distribution and illicit drinking establishments - bootleg socials; unwittingly the making of the country's organised criminal fraternities. The others were widespread corruption among law-enforcement agencies and a staggering level of hypocrisy in the population at large. The ban was repealed by the ratification of the 21st amendment to the constitution in December 1933. The night that Prohibition ended must have been some party! For a shot at a poem this week, I thought I'd have a go at 'deconstructing' and rebuilding/renovating Gaudio and Parker's disco ditty in honour of its original purpose, a jubilant celebration of repeal day. Pass near Jupiter in Virgo. He asks, how many satellites in the sky? Does anyone know where they all are? What are they doing, who watches them? Frost settles on the sleeping bags. At the edge of a high lake rimmed with snow. Belong to the same universe. Belongs to the twentieth century and its wars. Good that, don't you think? A poem written by campfire light in the Sierra Nevada. Remember, remember the fifth of December! and home of the (not so) free; no irony there! though poor F. Scott Fitzgerald lost a whole decade. were either abstemious or liars. Interesting, I never knew that. My guess the 4S thought a song about prohibition wouldn't have as much appeal as a love song, so good recycling of the material (as it became a massive hit). I was lucky enough to meet Gary Snyder once and like you have always dug his poetry. Guess you have Turtle Island? 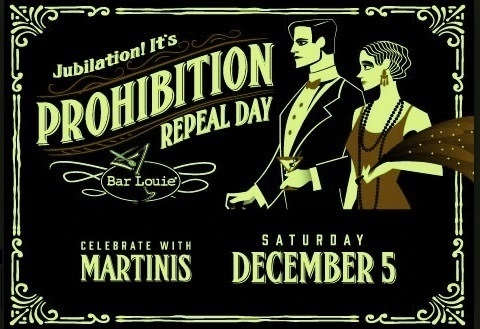 Your idea for reconstituting the ode to repeal of prohibition amused me. Please finish it Steve. I know your dead busy with getting us our club back but have a drink on me when we next meet buddy - and finish that poem. America - a country founded on blood and violence, bound to be a bit crazy for a while so I could understand prohibition in the context of it needing so sober up! An intriguing blog and good choice of images.